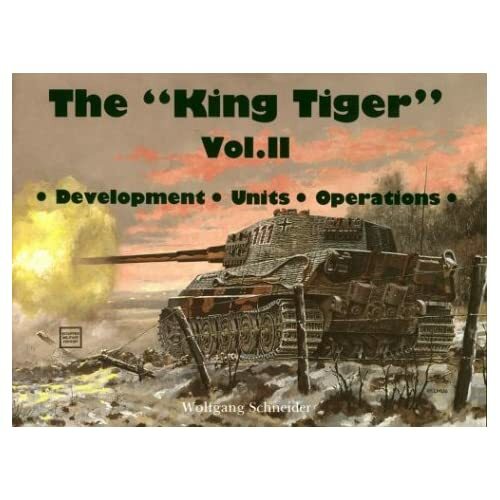 $12 for a decent book on all aspects of the King Tiger, development, units, colors, dates. Well worth the small dollars ! This is the second book, complementing the details of the first with different pictures and details right up to the end in 1945. Well spent $9 here ! 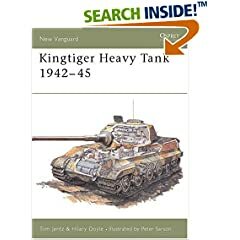 Any of the books from the [link=http://www.amazon.com/Panzerkampfwagen-Medium-Tank-1936-44-Vanguard/dp/1855328453/ref=si3_rdr_bb_product/105-3911534-2806061]New Vanguard[/link] line of books are top-notch. This is the most useful Tiger book I own. 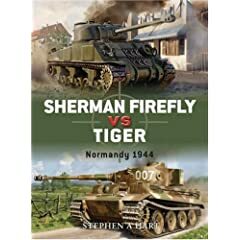 If someone told me "You can only have one book on Tiger tanks and we're burning the rest" This is the one I would keep. It simply rules all. I can second that for the western Front book, fantastic quality pictures with just enough information to go with them. I haven't got the Eastern book yet but after reading the other I will most definitely be getting that one too. "The World at Arms" The readers Digest illustrated history of World War II A very comprehensive history of the war through the reasons behind it to the very end, it'll take me a long time to get through it though. I use Achtung Panzer 6 for a lot of reference material for the Tigers. It's a shame that a lot of the main text is in Japanese with just a small section written in English. DEATH TRAPS ...the survival of an American Armored Div in WWII by Belton Y. Cooper. It is the memoir's of Mr Cooper who was assigned to the 3rd Army as a Maintnance officer for the Armor division. Very good insight and history in this book as well as some good photos. Get the collection of Panzer Colors I (Camouflage of the German Panzer Forces 1939-45), Panzer Colors II (Markings of the German Army Panzer Forces 1939-45) and Panzer Colors III (Markings of the German Panzer Forces 1939-45) by Bruce Culver. That's assuming you are looking for German reference material. it is great for color scheams. it covers all armor in wwii from all countries that had them. Here's a few of my favorite reference books. Applied modeling- self explantory. Panzer tactics- lots of pictures with plenty of notes about tactics, its almost like a tank manual and photo album combined. Images of Kursk- again alot of pictures plus a good deal of historical info. German Armored Warfare- Alot of pictures with some history, not bad but I wouldn't rely on it as your only source for model building. Tanks & Armoured Vehicles of WWII- not much use to a modeler but has nice color pictures to show the wife when your presenting your case to buy another tank. It has one or two pictures of most of the armored vehicles from WWII. Tigers in the Mud- written by Otto Carius, it covers his military career, hardly any pictures but a good book to read. A good read for someone looking for the point of view from a German tanker. Better than "Rommel" IMO. Some excellent titles listed here, many of which I have in my library. A few I would add to the list and highly recommend are: "Soviet Tanks and Combat Vehicles of World War Two" By Zaloga, this is an oustanding book by one of the best in the business, long out of print and rather scarce in nice condition, but you can sometimes get reasonably good copies on ebay for around $25. Any of the series of books from Schiffer Military on the Panther and Tiger series by Jentz & Doyle are generally considered among the best available for their respective vehicles, they don't have any color plates that would be helpful for painters, but as pure references for the history, development, and technical details of the actual tanks, these are hard to beat. Another is "The Modelers Guide to the Tiger Tank - a Complete and Comprehensive Guide to Modeling the Tiger I and Tiger II" this should be in every modelers bookshelf, my only complaint is the text is very small and requires good eyes or strong reading glasses...LOL. Like most of Zaloga's stuff, it is excellent. This one is far more comprehensive at 250 pages or so, than the 50-75 page booklets by the same author under the Squadron and Osprey labels. So do any of these offer a good (beginners) guide on painting? Just pick up this book on the King Tiger, this is the best color, detailed book I've seen, comes from Japan, 96 pages, about 500 pics, I'd say 90% or more in color, close up pics for great detailing on both the Porsche and Henschel Turret. Pick it up from Dragon models, they have one also on the, Panzer II, Panzer III, Panzer IV, Hetzer and Elefant/Ferdinand. Free Books here. Most of them work but some of them lead to a login request which also leads to a free book if you can be bothered doing all that they want. I have used this one a lot and it is constantly growing. As a guest your download limit is 50 books per day! Should keep you going. Just click on armoured vehicles and start searching for what you want. I have panzers at war. Some pretty decent info, and some line drawings by george bradford. Great for enlarging for those of us who like to scratch build. .............Just click on armoured vehicles and start searching for what you want. I've posted some scans of some of my references on my [link=http://home.comcast.net/~ptweed08/site/]Comcast webpage[/link]. 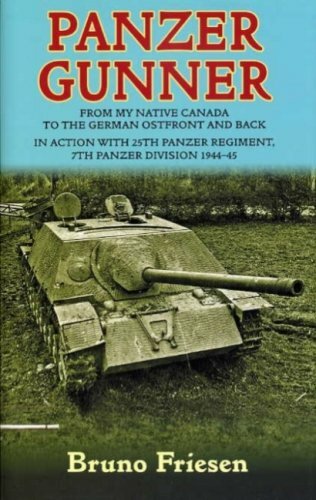 Its about a Canadian who ends up as a crewman in a jagdpanzer IV, from the reviews it has good info on combat, tactics, and living from day to day in one of these tanks. I'll post further when I finish reading it. Newcomer to the forums and in the process of getting my first HL Tiger 1 (can't wait). I came across the original Tiger 1 operation manual and have enjoyed looking through it, despite it being in German. Thought other Tiger owners would appreciate it as well.